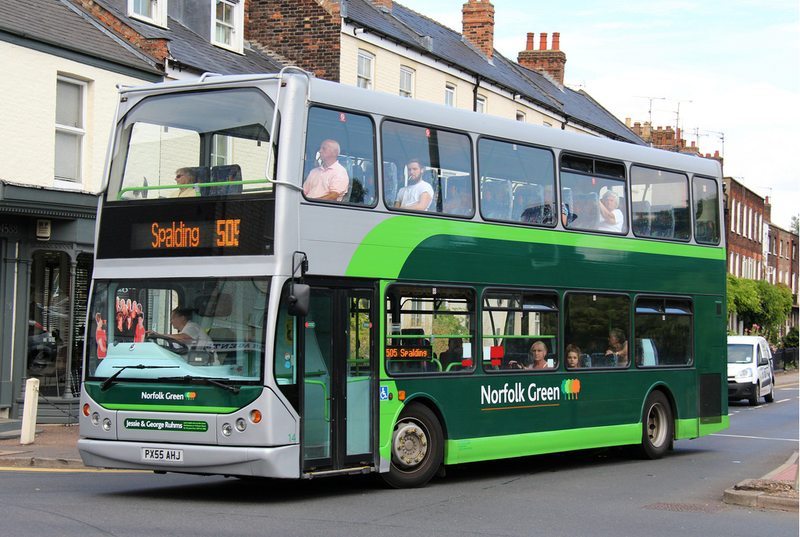 It’s day 44 on #AYearOfBuses, and for the first time, we’re heading to Norfolk! With a fleet of 55 buses and 32 coaches, Sanders Coaches is a family run independent based in north Norfolk. 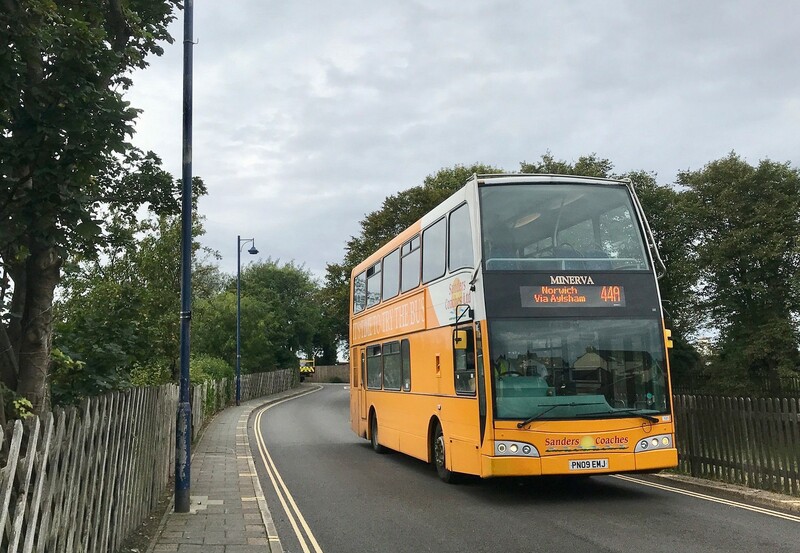 Running seven days a week, one of their most scenic routes is the 44, which runs from the village of Holt, to Sheringham, along the Norfolk coast to Cromer, and down into the city of Norwich. Between Holt and Sheringham, the 44 follows the route of the North Norfolk Railway – a 5.25 mile heritage railway, also known as the Poppy Line, which passes a splendid windmill just east of the village of Weybourne and the setting for several well-known period dramas and TV programmes.